What is the most beautiful or breathtaking place in the whole world you have ever been to? What is it that made it so special? Six years ago I was fortunate enough to visit Israel. There were so many amazing places to visit: the site where Jesus is said to have been born; the tomb where Jesus was laid; the mountain where Jesus ascended into heaven – all of them powerful and never to be forgotten reminders that the Bible tells the story of a real person who lived a real life so many years ago. But to me the most special place in the whole trip was down by the shore of Lake Galilee. It was such a beautiful and tranquil location – plus the fact there were loads of cute rock badgers looking on. Of course what made it even more significant was knowing that Jesus Himself walked on this very shoreline – calling the local fishermen to follow Him, preaching the good news to the crowds, healing the sick and the demon-possessed. I don’t know if I will ever make it back to Israel. But I do know that thanks to Jesus I have been given the opportunity to go to somewhere even more wonderful. And for this journey, I won’t need a passport or a package tour. I won’t need to go searching in the ruins of history. 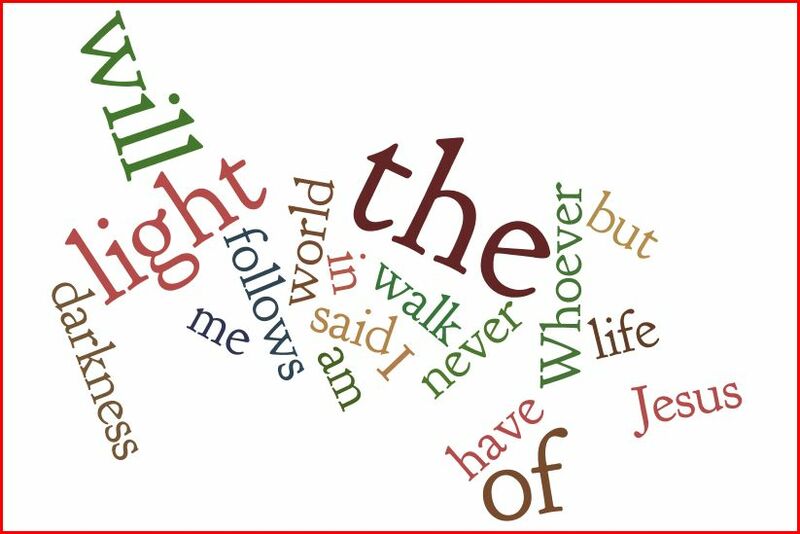 No, Jesus offers me the chance to go to none other than where my Heavenly Father lives. And it won’t be some exotic foreign place with a different language and strange local customs. It will be in the deepest sense of the word home, a place where I can belong forever. We often call this place heaven, and in our first reading this morning we hear how a man called John is shown a vision of what heaven is like. How he describes heaven is perhaps very different from how we usually imagine this place. We might think of angels on fluffy clouds playing harps, or a long road up to some pearly gates. John’s vision is far stranger and perhaps even slightly disturbing. There is a rainbow, and flashings of lightning, and a sea of glass. There are bizarre-looking creatures flying around constantly singing. And in the middle there is a throne with someone sitting on it – God Himself. Now I’m not going to explain every detail of John’s vision. What we have to realise is that John is trying to describe the indescribable. Heaven will be so different from any place we have ever seen before it is hard to put into words what it is like. But the main point John wants to get across is that heaven is real, and we’ll see why that’s so important in a moment. Over the past couple of months we have been looking in our sermon series at the book of Exodus. Now in some ways the book of Exodus is rather a strange book, describing events which happened in a far off land several thousand years ago. It’s one that people don’t tend to read that much, and we are perhaps less familiar with the story than with other parts of the Bible. And yet we have seen that, despite all the differences between the book of Exodus and our own times, in many ways it helps us to understand our own experience as the people of God. We have seen how at the burning bush God revealed Himself as the great “I am”, the one who is the same, yesterday, today and forever. We have seen how the Lord’s deliverance of the Israelites at Passover gives us a visual image of the saving work of Jesus Christ. And we have seen how the Israelites’ passing through the Red Sea helps us understand what it means to be raised to new life through Jesus’ sacrifice made once for all. But we have also seen that just because the Lord has delivered us and raised us up to new life, this doesn’t mean that things will automatically get any easier. The Israelites who were spared God’s judgement on Egypt and who were rescued from Pharaoh’s pursuing army found themselves out in the desert, where any number of challenges lay before them. For a start, they were confronted with the issue of water and of food, which immediately tested their new-found faith (see Exodus 15:22-17:7). Then, they came under attack from the Amalekites who, without any provocation, set out to destroy them (see Exodus 17:8-14). And when we read these stories with the eye of faith, we can see they provide powerful illustrations of the challenges which await us as the church of Christ. There are the external factors we cannot control that force us to ask whether we really believe in the Lord who provides. Then there is the spiritual opposition which arises every time the people of God gather together, which for us in the West may not be immediately obvious but which is nonetheless real and manifests itself in several different ways. Today, however, we are coming to a different kind of threat that we as the people of God face. And it comes not from outside, but within. Does anyone remember seeing someone performing on a street corner as a one-man band? You know the sort of thing: a man with a large drum on his back, playing the guitar and harmonica, as he sings and beats out the rhythm using his feet. With the rise of technology and the use of backing tracks, the one-man band has become a dying breed. He may have been entertaining, and he may have had novelty value, but he could never really be classed as a serious musician. Yet the problem we face, is that so often churches, and especially Anglican churches, operate as a one-man band. Last week I read out my licence from the bishop collating and instituting me as the vicar of St Michael’s and St Barnabas, and on 4 October I will finally be inducted to the benefice by the archdeacon. There is an important legal point behind all these formalities but I do worry that they put all the focus on the person at the front. For far too long the Church of England has perpetrated the myth of the vicar who is omnicompetent (that is, he can do any job required in the church), omnipresent (that is, always there when someone needs him) and omniscient (that is, who knows all there is to know about the parish). Such a model of leadership, as we shall see, is deeply unhelpful and in fact completely undermines the mission and ministry of the church. But the one-man band needn’t necessarily be the vicar. I have seen in past experience (and I am not talking about anyone here today) the dominant personality in the pew who insists everything is done their way or not at all, or the person who refuses to let anyone else take on her role, and gets upset when anyone treads on her territory. They may have the best of reasons for behaving in the way that they do, but as today’s passage shows, allowing one person to do all the work is a recipe for disaster, and something that needs to be challenged. And Jethro is suitably impressed. Listen again to his testimony in verse 11: Now I know that the Lord is greater than all other gods, for he did this to those who had treated Israel arrogantly. That is an amazing statement coming from someone who is not himself an Israelite. But because of what he sees and what he hears, he too is prepared to accept that the Lord is a god like no other, and so in the process becomes the first non-Israelite to expressly put their faith in Him. 13 The next day Moses took his seat to serve as judge for the people, and they stood round him from morning till evening. 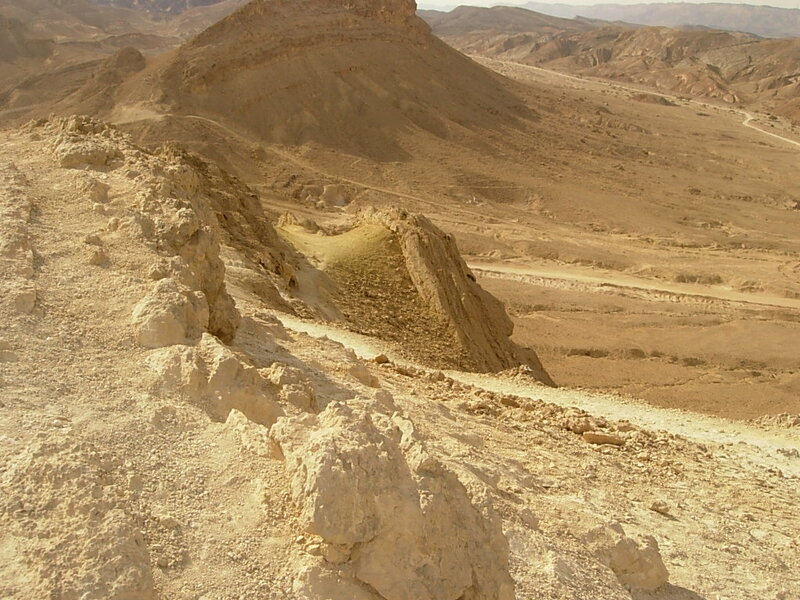 Now exactly how many Israelites were with Moses in the desert is a matter of great argument. Exodus 12:37 is translated in English versions as 600,000 men of foot but this is an implausible figure for the Ancient World, especially when you add in women and children. There’s good reason for thinking that the word translated “thousand” probably refers to a tribal chief or to a clan. But even 600 extended families with all their relatives and lots of children and grandchildren adds up to an awful lot of people and it was clearly too much for Moses to deal with alone. Now I am sure that in today’s culture there would be many who would applaud Moses working from dawn to dusk on his own. I have been out of the world of regular work for nearly twenty years, but from all I hear, it seems that increasingly people are being asked to work longer and longer hours, with ever fewer people around them. It’s what’s called in the trade an efficiency saving – the idea that one person can take on the tasks formerly done by a team, and somehow continue to provide the same service. But Jethro can see straight through that idea. Because ultimately such long hours come at a great personal cost: You will only wear yourselves out. One study by the Depression Alliance last year found that one third of workers across the UK struggle with stress, burn-out or depression. According to their figures, the total cost across the EU of such fatigue runs to a staggering £77bn.1 So while on paper efficiency savings might make good business sense, all the evidence suggests that the personal toll is far too high a price to pay. And as Christians we have particular reason to resist this trend to work ever harder and longer hours. We believe in a creator God who made us to enjoy periods of rest, typically one day in seven. By rest He did not mean periods we are so exhausted we spend the time curled up in bed or slumped in front of the TV. He meant opportunities for worship, for re-creation, for spending time with families. That’s why our desire to keep Sunday special is not just about making sure people are able to get to church. It’s about following God’s blueprint for humanity, where it is recognised that 24-7 working week in, week out goes against the very reason for which He made us. The pattern of work which Moses had adopted was unsustainable. Maybe Moses himself knew that. Maybe the people also saw the problem. However when you are trapped in a cycle of long hours, sometimes you need an outside perspective to see the solution to your situation. So what was Jethro’s advice to Moses? 19 Listen now to me and I will give you some advice, and may God be with you. You must be the people’s representative before God and bring their disputes to him. 20 Teach them the decrees and laws, and show them the way to live and the duties they are to perform. Jethro’s words here contain a lot of wisdom. On the one hand he recognises that Moses is the one appointed by the Lord to lead. He still has an important role in providing guidance, care and oversight of God’s people. But on the other hand, the way things are set up at the moment is creating an unhealthy dependence on just one person. As Moses seems to be the only one with the authority to make a decision, people are coming to him with every sort of problem, even those that seem fairly trivial. So what is to be done? The answer is clear: teach them the decrees and laws, and show them the way to live. After all, as we saw last week, if we want to see real, genuine growth among the people of God then that isn’t something that’s going to happen through just one person. Sustained growth comes from everyone knowing God’s will, and everyone wanting to know God’s will, instead of just leaving it to the vicar or elder to tell them what to do. If the Israelites who spent all day waiting to see Moses just used a little of that time learning God’s decrees and laws then they would themselves be confident of what the Lord wanted of them. They would grow in their faith, and Moses could be released for other tasks. It was He who gave some to be apostles, some to be prophets, some to be evangelists, and some to be pastors and teachers… why? So that they could take on all the responsibilities on behalf of everyone else? No… to prepare God’s people for works of service, so that the body of Christ may be built up until we all reach unity in the faith and in the knowledge of the Son of God and become mature, attaining to the whole measure of the fullness of Christ. So as I think about my own ministry, if for any reason I am failing to help you prepare for works of service, then I am falling short in my own calling to be a pastor-teacher. The goal of my ministry isn’t to be that omnicompetent priest I was talking about earlier, but to teach and explain the word of God so that every member of the church knows the right way to live and what the risen Lord Jesus expects of them. Because it is only through knowing and understanding God’s word that more leaders are raised up, as folk begin to realise what gifts and ministries the Lord has given them. This leads on to Jethro’s second piece of advice in verse 21: But select capable men from all the people – men who fear God, trustworthy men who hate dishonest gain – and appoint them as officials over thousands, hundreds, fifties and tens. Moses, in short, needs to share his leadership. Being a one-man band, you see, goes right against God’s intention for His people, that ministries should always be shared. So in the passage I read just now, Paul quite clearly says that the risen Lord gave some to be apostles, prophets, evangelists, pastor-teachers – and not just one person fulfilling all these roles. Or again, when you look at the life of Jesus, you see that He appointed twelve apostles and then seventy-two others to share in His mission, and sent out them out to do the work in pairs. Now I realise that whenever that I talk of gifts and ministries folk can feel more a little daunted. It doesn’t help that for far too long the church has talked about calling, or vocation, as being specifically about holding a post of leadership, or being ordained. But of course there are many different sorts of gifts and ministries which the Lord calls us to exercise. It could be anything from something you do on a Sunday morning like welcome or leading the prayers, to the job you do day by day, to being a presence in the home where you live. And what is the qualification for exercising a gift or a ministry? I realise that the church has often made the answer to this question very complicated, but in essence it simply boils down to what Jethro says in verse 21 – people who fear God, who are trustworthy and hate dishonest gain. If your heart is setting on following the Lord, and living at peace with all, then you are called into His service, so that the whole people of God can be built up by your ministry. That’s why instead of seeing the church as a one-man band, can I encourage you to think of it more as an orchestra? A place where everyone contributes, even if it is only to play triangle, and where more than one person plays the same instrument? Of course the orchestra still needs a conductor who can hold everything together, but there is no expectation he is able to play every single part himself. Rather, his job is to help everyone else learn the score so that together they all learn what it means to follow the composer’s wishes. 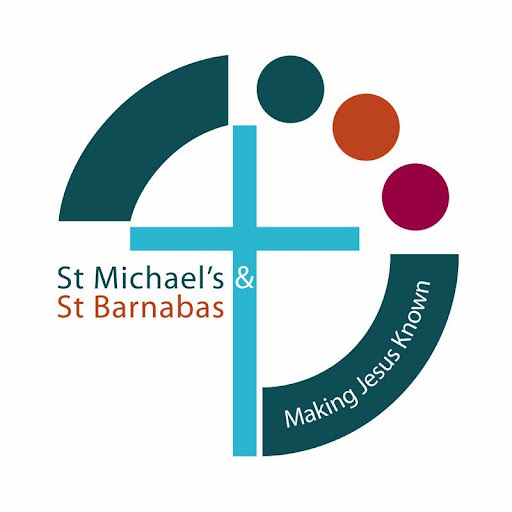 Because how we see ourselves and the part that we play is actually of fundamental importance to the life of our churches here as St Michael’s and St Barnabas. If we see attendance at church optional, and getting involved something that other people do, then the blunt reality is, we will not grow and flourish. We will to all intents and purposes appear to the world just like another voluntary organisation of like-minded, well-meaning people. But if we see ourselves as the body of Christ, called by the Lord to belong to one another and to serve each other with our gifts and ministries, then people will sit up and take notice. So how do you see the part that you play here as part of the body of Christ? Welcome to the world of the sluggard! Who here has a favourite film they watch every Christmas? What do you like about it, and why? We all love a good story we can enjoy again and again. So the question is: what makes for a good story? Well, if we can tease out some common factors they usually include: ordinary people who triumph against the odds; an element of danger; some villain who poses a real threat; and of course we have to have that all important happy ending. And if these are ingredients of a good story, then the Christmas story has them in abundance; we have Joseph and the heavily pregnant Mary setting out, no doubt against the advice of friends and neighbours; there is the peril of a long journey; there is wicked King Herod in the background; and of course there is the birth in the manger, and the visit of the shepherds and the wise men. That’s how we normally tell the Christmas story, and it’s no doubt it’s one that provides much comfort at the darkest and most wearisome part of the year. But is it anything more than a story? I don’t know how many of you listened to an interview on Radio 5 last Thursday with the Professor of Religion and Old Testament history at Exeter University. She basically rubbished any idea there was any truth at all in the gospel accounts, although she did concede Jesus probably existed. We shouldn’t be surprised by such interviews – it’s very fashionable nowadays to knock the idea the Christmas events actually happened. It’s what attracts airtime, and sells newspapers. Have you heard of Quidditch? If you haven’t, then you haven’t yet come across the magical world of Harry Potter. Quidditch is a game played on broomsticks in mid air. The idea is that two teams try and get the ball into the opposition’s net. It’s a swift and sometimes violent game as the players sweep back and forth across the sky trying to score as many points as possible. But there’s one person in the game of Quidditch whose role is rather different. Because half way through the game a magical golden ball called the Snitch is released, and it is the role of the seeker to catch it. If the seeker on either side manages to get it, then no matter how points are already on the board, it’s game over. Sounds confusing? Well, click on this link and and then on Philosophers Stone from the menu on the right of the page, and you’ll see a clip that explains what I’m talking about!